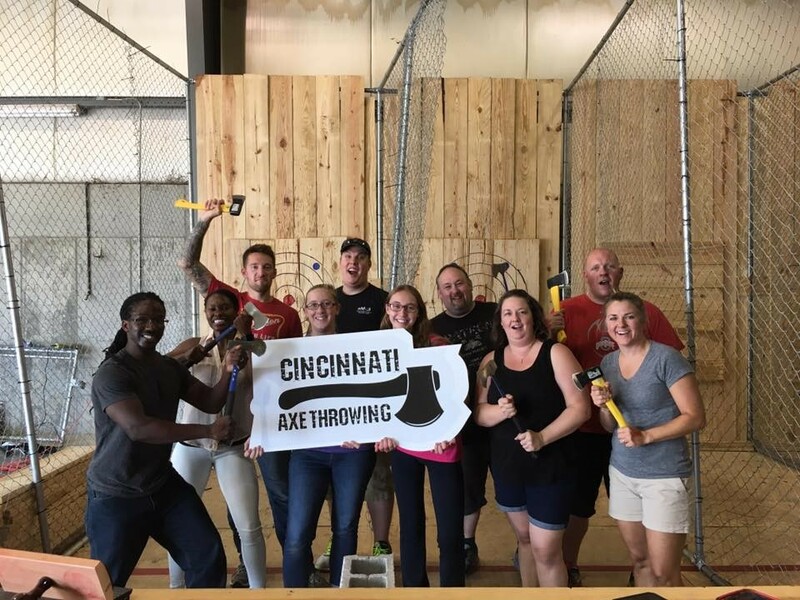 ﻿ Cincinnati Axe Throwing - Ohio. Find It Here. Experience the newest thing in indoor, social, and adventure sports. An Axe Throwing entertainment center has arrived in Butler County, Ohio! Enjoy solo, or with a group of your adventurous friends. Safety first! Your visit begins by learning how to throw properly from an expert. Once you've got the basics down, try your hand in an axe throwing competition, and compete to be the Lumber Lord. Great for beginners and experienced throwers alike!